We frequently see patients who have been trying, albeit unsuccessfully, for years to have their jaw pain treated. They are uncomfortable and cannot seem to obtain relief even though they have been to several qualified dentists. Dr. Marlin has been successfully treating TMJ patients for years via occlusal, night guard, and muscular therapy to effectively and efficiently provide the relief you have been searching for. Once your history has been taken, he will evaluate your occlusion by reviewing study casts to evaluate the most crucial point of the problem. Frequently, this facet needs more definitive treatment and is overlooked by various doctors, but Dr. Marlin understands that treating pain occurs only with understanding the pain source itself. In addition, he will evaluate your jaw musculature and Temporomandibular Joints (TMJ). The TMJ treatment begins with adjusting the bite as needed until all of your teeth are harmoniously contacting without interference. Once this has been accomplished, Dr. Marlin will assess whether you have any restorations that are impeding his ability to create a stable bite. For example, he assess whether one of your crowns been fabricated such that it is too wide and preventing other teeth from coming together completely. Although seemingly simple, this problem can be the source of severe discomfort. 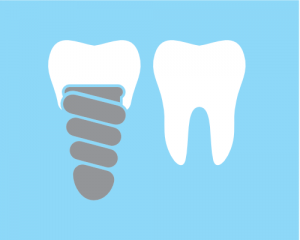 Once your occlusion has been stabilized and once any defective restorations have been replaced, an occlusal guard is then created for wear during sleep. This appliance evenly balances your occlusion, preventing excessive clenching and overloading of your musculature while you are sleeping. Most jaw pain from TMJ is effectively treated via all of the above treatment regimens. However, in the few cases where the jaw musculature continues to cause pain, the jaw itself must be treated as well. Symptoms of jaw muscles that must be treated include: pain within the jaw, pain to the teeth creating the feel of an “aching” tooth, heat sensitivity in several teeth, headaches, jaw aches, double vision, and other symptoms that may concern the patient. Once the bite itself has been corrected, there are multiple therapies that can be used to correct additional jaw discomfort. Pain from TMJ does not have to be endured for long, and with today’s technology, long term TMJ therapy is available for those who need it by experts who truly care. With time and a bit of effort, TMJ discomfort can be a feeling of the past. 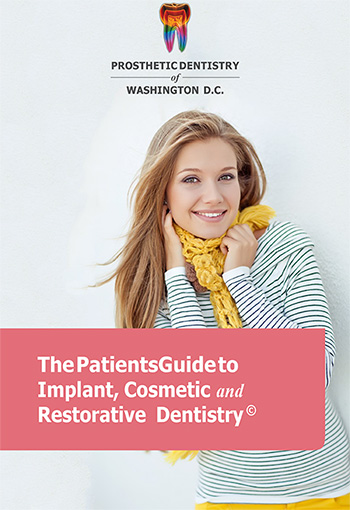 For additional information on TMJ treatment and therapy, contact the office of Dr. Marlin at Prosthetic Dentistry of Washington D.C. today.